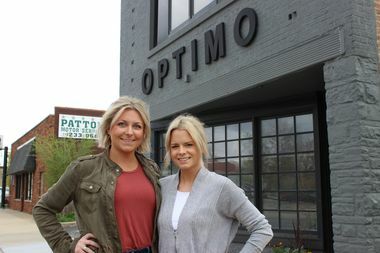 Marlo Salon On Western Avenue Replaces Optimo Hat Co. The Beverly salon supplants the hat manufacturer that was based at 10215 S. Western Ave. for 25 years. Check out 22 signature rolls such as a "green turtle roll" made with avocado and wasabi-topped tuna. The new and used bookstore will more than double its retail space with a move to 10324 S. Western Ave.
Cafe Ciat, 1046 W. Argyle St., opened earlier this month. The owner of Maison Marcel said he hopes to open this summer. The restaurant at Clark and Madison had been open for decades. Laine's Bake Shop needs more space for production and more visibility for its retail, the owner said. The city's second recreational ax-throwing range opens April 19 at 4842 W. Irving Park Road. Signs for "Arepas Empanadas" were recently posted on the storefront once home to Grandma J's Kitchen. This June, get ready for cornmeal tamales stuffed with brisket and simmered in spicy both. Rugged backpacks, tents and hiking boots are among the Wayward offerings. "Part of me feels like I'm losing out to alcohol," said the owner, who bemoaned the changing 'hood. The store donated "basically [its] entire school supplies aisle" to the Reinberg School. The brewer will debut four beers after spending more than a year building the Peterson Avenue taproom.